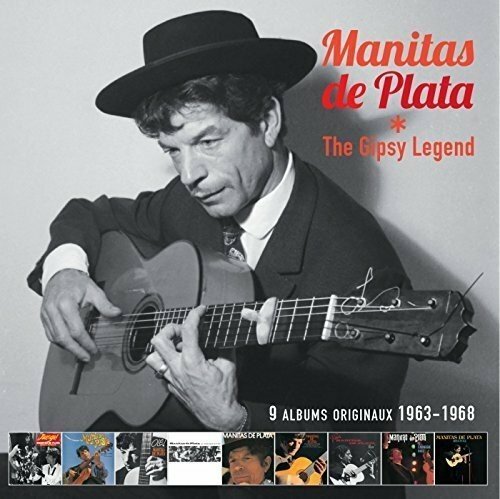 The third installment in Vanguard’s series of 3 Manitas de Plata LPs-then-CDs, after Gipsy Flamenco on Vanguard OVC 8018 (USA), Vanguard 08 8018 71 (Europe) (1993) and Olé! on Vanguard OVC 8068 (1994) (links will open new tabs to my reviews). 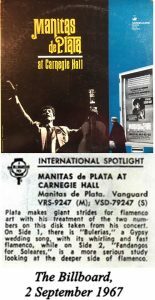 “At Carnegie Hall” was originally released on LP on Vanguard VSD 79247 in 1967 (link to entry on discogs.com), but track 5 of the CD, Milongas, finds its first publication ever on the CD. That track is NOT on the 2015 Barclay compilation listed above, which derives from the LPs that were licensed at the time to Philips-France. “At Carnegie Hall” came out on Philips 844.540 PY. I can’t recommend it less, or more, than the two other Vanguard CDs. 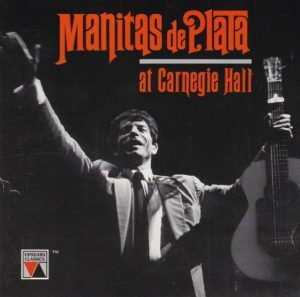 Afficionados of flamenco deny Manitas de Plata the honor of playing “real” flamenco. To them, he doesn’t have the genuine flamenco “beat”, or compás (see the section aboutcompásin the Wikipedia article on Flamenco – link will open a new tab). That may be so: not being a specialist or even connoisseur of flamenco, I won’t challenge that. But I’d rather look at it from another angle: whether this is “authentic” flamenco or not, who cares. Picasso, Dali thought it good enough for them. Remains that, whatever its name, wheter or not flamenco, it is great music, hugely exciting. 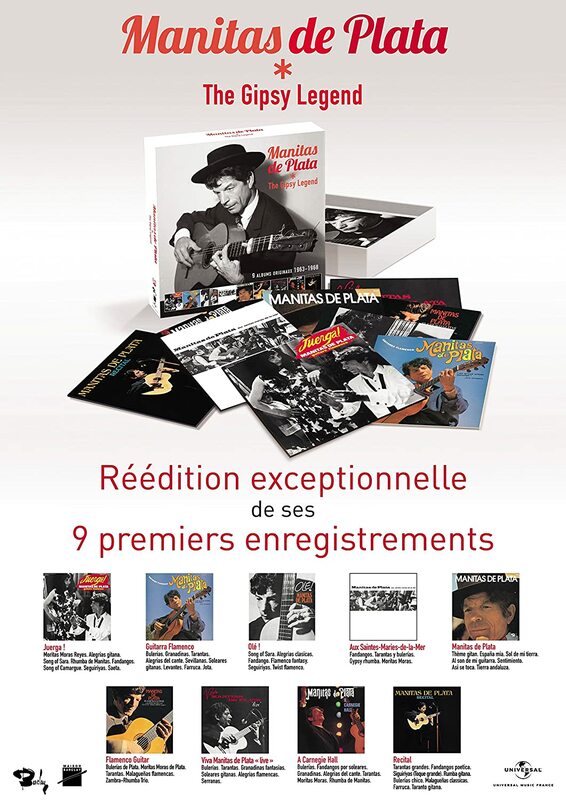 Just call it something else, then – “French Gipsy Spanish Music from Arles” if you wish. 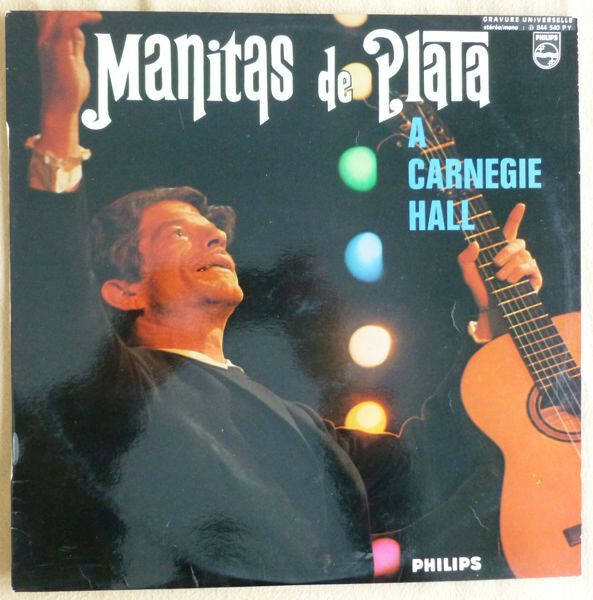 “At Carnegie Hall”, like its two Vanguard predecessors, is a celebration of the “French-Spanish-Gipsy” Guitar, but also the raucous and nostalgic (more “ayayaye” than “ole!“) vocalisms of Spanish (?) 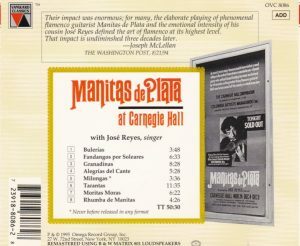 music, through the presence at Carnegie of Manitas’ cousin José Reyes (featured prominently on tracks 2, 5, 7, 8). I don’t know what specialists think, but to the non-specialist, its great. TT 50:30.